Once a hold-out from the online world, accounting and ERP software vendors of all sizes are now adopting a web-first approach to the market. Vendors and customers have realized that for a good many reasons, leveraging the Internet for financial applications makes sense. Through our partnerships, we’ll hook you up with industry-leading providers of accounting software and solutions. With these tools, management of your business’s finances will be a breeze. 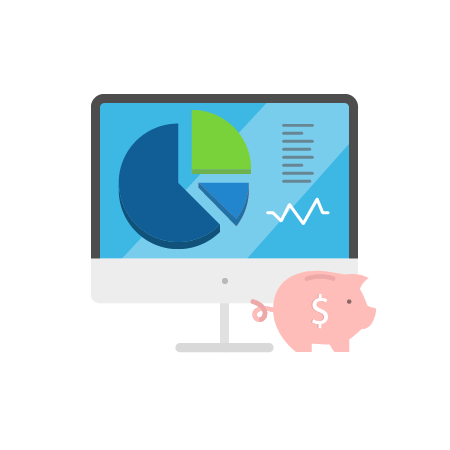 All of our finance-related solutions are built on enterprise-grade hardware, and if you run into trouble, support is available from a single point of contact. We offer FISMA and SOX compliant services that are built for the highest possible levels of data security and privacy protection. A full-service consulting firm with nearly three decades of experience, Computrack is responsible for over 1,000 successful financial system implementations. Built by a team of Chartered Accountants and Certified Sage 300 ERP professionals, their custom-tailored solutions are designed to make your operations more efficient, your employees more knowledgable, and your business more profitable.